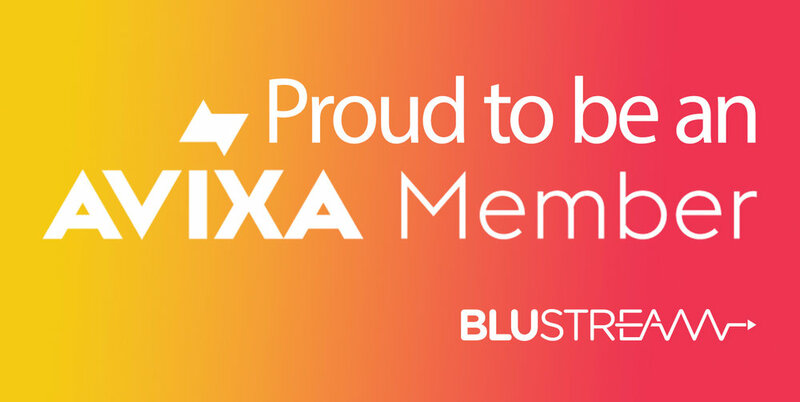 Blustream is pleased to announce it has joined the Audio Visual and Integrated Experience Association (AVIXA). The AVIXA organisation is the producer of InfoComm trade shows around the world and the international trade association representing the audiovisual industry. Established in 1939, AVIXA has more than 5,400 members, including manufacturers, systems integrators, dealers and distributors, consultants, programmers, live events companies, technology managers, content producers, and multimedia professionals from more than 80 countries. AVIXA members create integrated AV experiences that deliver outcomes for end users. AVIXA is a hub for professional collaboration, information, and community, and the leading resource for AV standards, certification, training, market intelligence, and thought leadership. 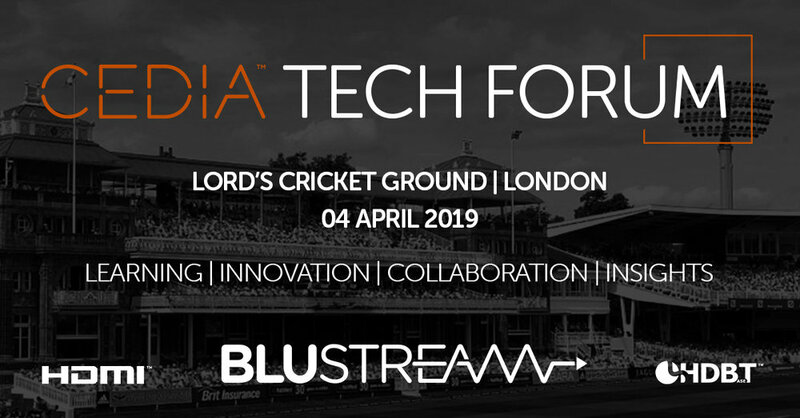 Martyn Shirley, Founder and General Manager of Blustream commented, ‘ As Blustream continues to grow in all 4 corners of the world its important that we align ourselves with the credibility of an industry leading trade organisation. Our marketing and trade show activities are growing exponentially each year so membership within the largest industry body who own a number of the trade events we wish to exhibit at is a natural step. This year Blustream will be exhibiting for the first time at InfoComm India and China. Another key reason for joining was the increased relevance of AVIXA training programs and CTS (Certified Technology Specialist) courses. At Blustream training and education is at the heart of what we do and our AVIXA membership will only enhance our standard of knowledge and the training we are able to provide our partners’. InfoComm is the largest family of technology exhibitions and conferences in the world focused on the pro-AV industry. Each event is part of a global alliance of trade shows, produced by AVIXA and its partners, including InfoComm India, Integrated Systems Europe, Beijing InfoComm China, Chengdu InfoComm China, InfoComm Southeast Asia, InfoComm Brasil, InfoComm Colombia, InfoComm Mexico, Integrated Systems Russia, and Integrate. 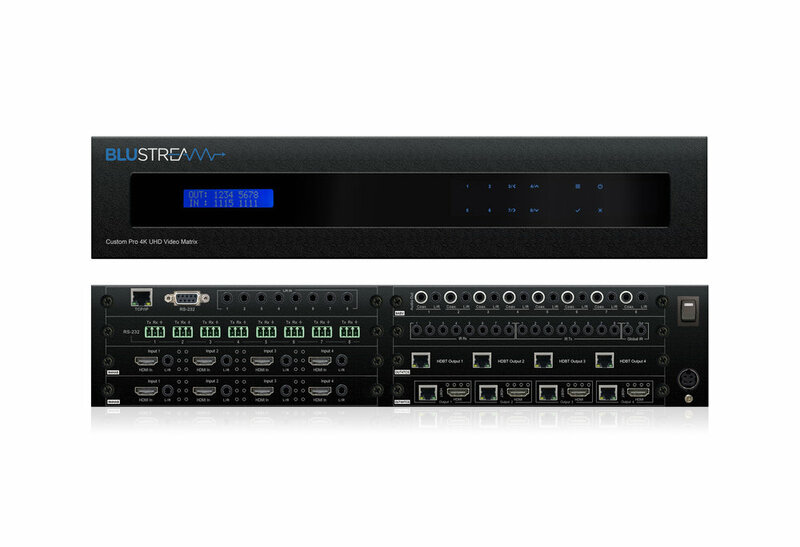 The NEW Custom Pro 4K Matrix from Blustream achieves unprecedented levels of both performance and flexibility. AV installers can now easily specify their desired I/O structure and choose the additional control features required for a specific AV project. The Custom Pro Matrix has been specifically designed to operate in challenging AV environments. Its robust housing and interlocking board configuration make both installation and maintenance a seamless experience. Advanced optional features include audio breakout, simultaneous HDBaseT / HDMI outputs, RS-232 pass through, and a web browser interface module for enhanced control and configuration. With our latest CSC technology users no longer need to adjust video outputs or insert scalers to accommodate a mixture of 4K and 1080P displays. The new Custom Pro delivers auto down-scaling where the matrix recognises a connected 1080P display and downscales the 4K signal to that output ensuring the ultimate resolution compatibility.